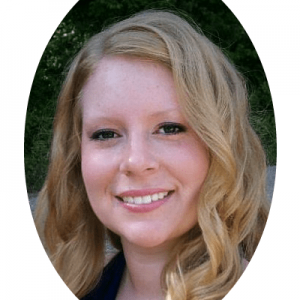 Thank you so much for joining me in this blog hop today! I’ve teamed up with 11 other extremely talented bloggers to share our Easter crafts on a budget. Each of us was given a budget of no more than $10 and challenged to create an Easter inspired craft using items from the dollar store or dollar section of our local stores. If you have any budget friendly Easter crafts to share, please add it to the link-up at the bottom of this post so it can be seen on all of our blogs! It’s no secret that I am a little bit obsessed with Dollar Tree and Target’s Dollar Spot. Seriously, I think I visit one or both weekly. Have you see the cute Spring decor out at Target yet? These galvanized buckets caught my eye a few weeks ago. And even though I didn’t have a clue as to what I was going to do with them, a couple came home with me anyway. Then there were these cute felt bunnies in packs of 6. Again, no idea what to use them for, but for $1 how could I pass them up? 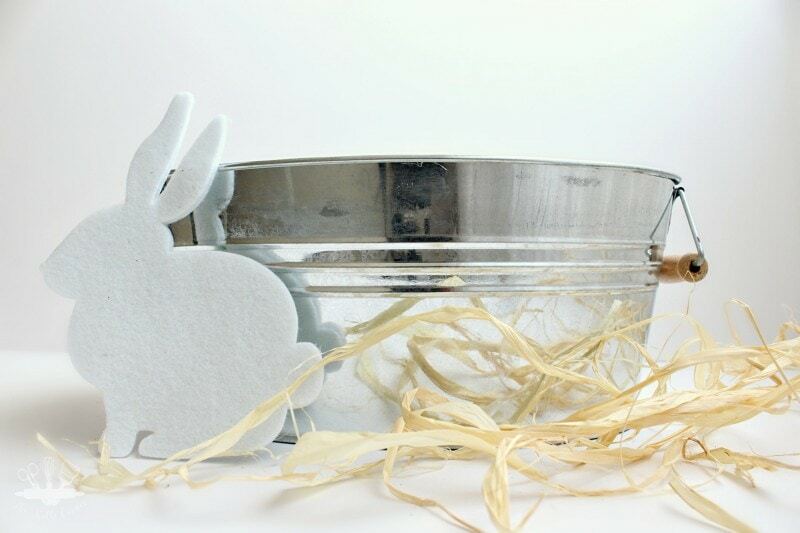 Once I was home, I started brainstorming for some ideas and that’s when this DIY Easter basket hit me! This is not your traditional multi colored wicker Easter basket, but rather something that the recipient can use for years to come after all the candy and goodies are gone. All I did was simply tie raffia around the top of the galvanized bucket, using some hot glue to keep it from slipping. Then using one of the white felt bunnies from my pack of 6, I glued one on top of where the raffia was tied. Load it up with Easter grass or another filler, and stick in your candies and goodies! 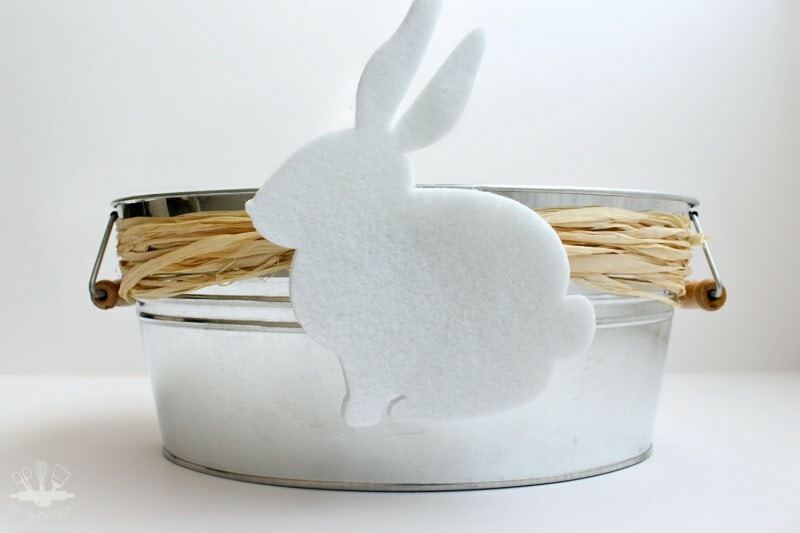 Then, once Easter is over, you can use this DIY Easter basket as part of your Spring decor. See? Multipurpose! I love that bucket! 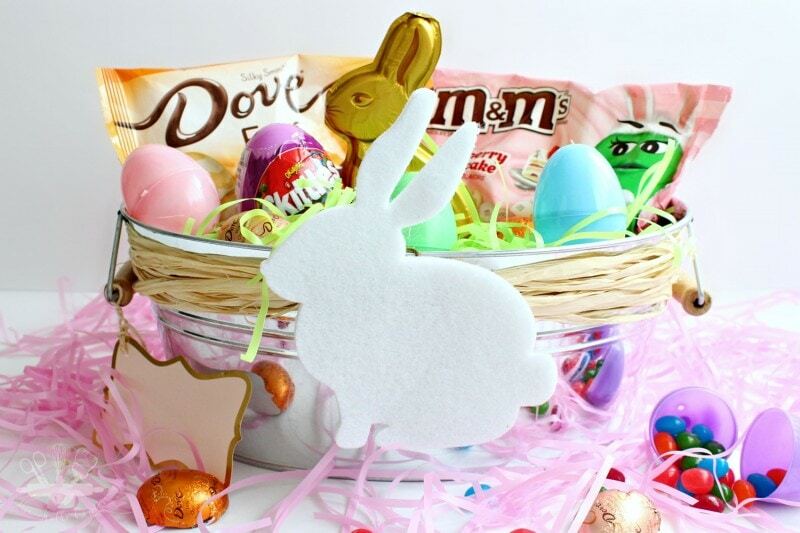 Not gonna lie, it could be my Easter basket without any additional decor but you’ve definitely made it a beautiful and multi-functional piece! Thank you Marie! It sure was pretty as is, but I had to make it just a tad more festive lol. I can’t leave anything as is. I saw those galvanized buckets too! Love it. Your Easter basket would be perfect on our dining table so we could have dessert ready all the time! Good idea for the dining table. Maybe I’ll put it front and center for Easter dinner. 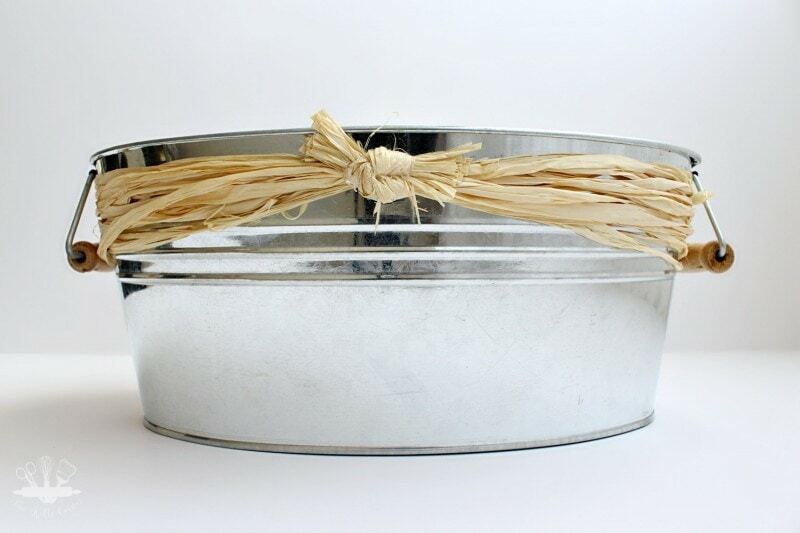 I love the idea of the galvanized bucket in place of the traditional woven one. I know I would definitely use it for so many other things. Such a neat looking basket. I probably would not have thought about adding a little felt bunny to it – it is so creative. I have a couple of those little buckets and I am just using them as is. Thanks for sharing your creativity with us!!! I love the bucket, too! It’s the perfect thing for an Easter basket.